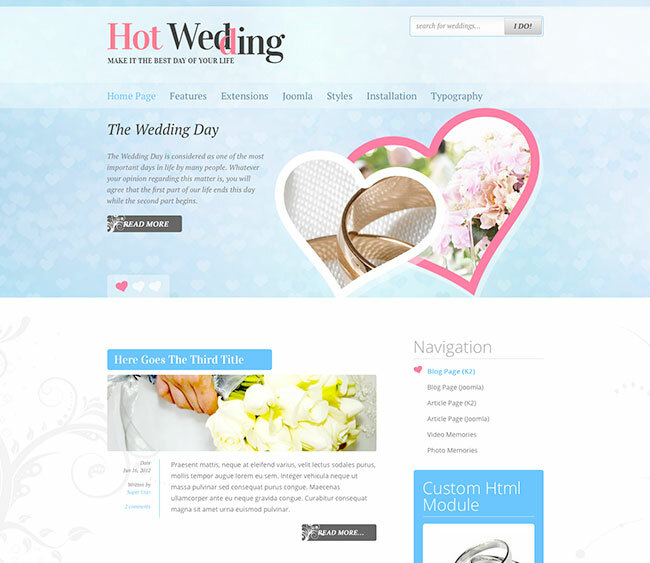 The Wedding Day is considered as one of the most important days in life by many people. Whatever your opinion regarding this matter is, you will agree that the first part of our life ends this day while the second part begins. Some people don't celebrate this day too loud, while others spend millions to make this day the best day in their life. Beside our memories, this important day should be saved on video clips and photographies, so we can refresh our memories after years and decades. 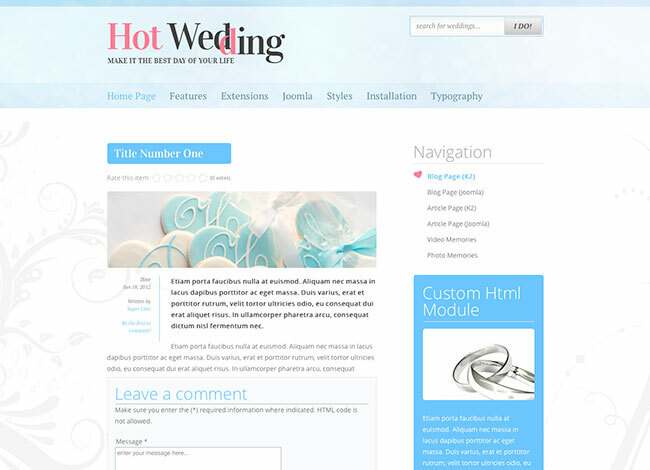 There's no better way to collect everything in one place than making a website about your wedding using the Wedding template. Your cousins from Australia will be able to look at your wedding photos. Your friends from England and Russia will learn more about your wedding day and write some nice comments about it. 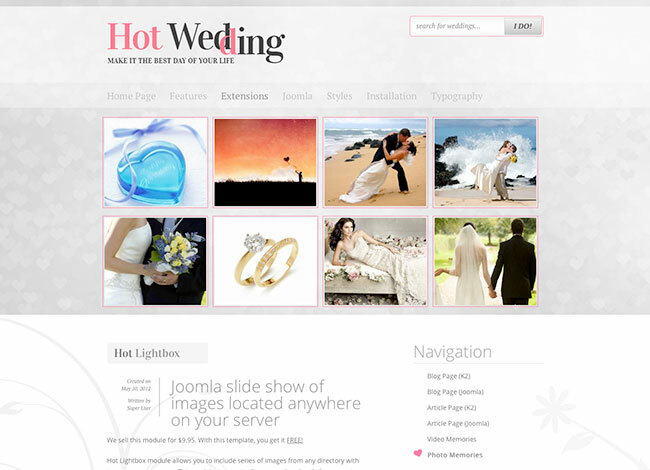 Top menu of the Wedding template looks as a "normal" top menu with drop-down submenus (you can select one of 10 animation effects powered by jQuery UI). However, on the mobile devices with smaller screen resolutions, this menu becomes a button that opens all submenus on a single click. 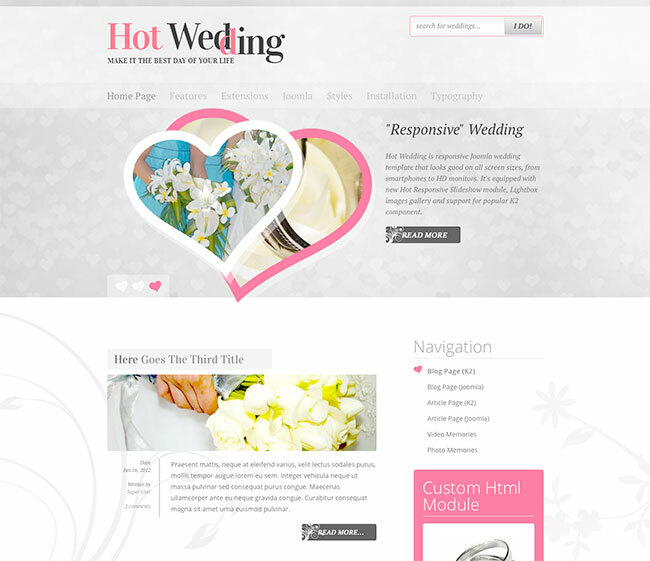 Responsive layout: Looks good on all screen sizes and all devices. Three pre-defined styles with different main color. Each color is easily customizable in parameters. Infinite color combination. Hot Responsive Slideshow ($15 value) and Hot Lightbox ($15 value) modules included with template, pre-installed and configured. Support for K2 component is included. 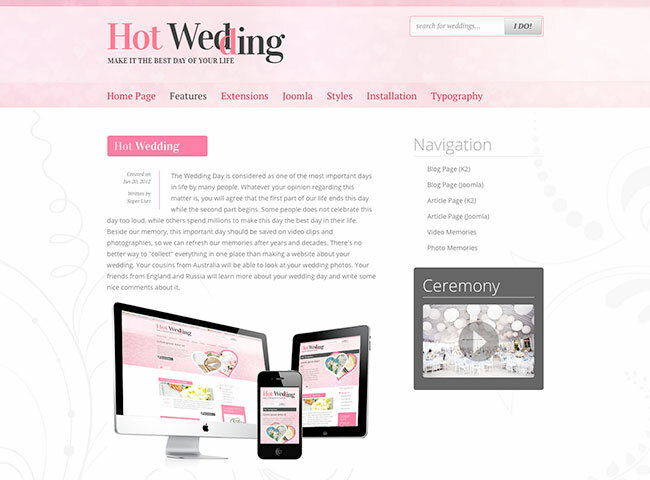 The Wedding template provides fantastic user experience for all your visitors, no matter what device they are using to access your website.